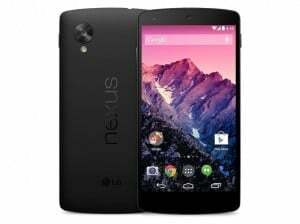 We have been contemplating the India launch of Google Nexus 5 phablet for quite some time. Finally, the wait is over and we have it. The gentle-giant has been listed on Google Playstore with a coming soon tag. Considering its features and products from other competitors, its price is very reasonable. The 16 GB internal memory model, you will have to pay Rs 28,999 and for a 32 GB model, the cost will be 32,999. For India sales, Google has arranged a nexus with LG. Display- 4.95-inch (1080 x 1920 pixels) 445 ppi full true HD IPS capacitive touchscreen and this will be protected by Gorilla Glass 3 so you need not worry about the occasional falls. Processor, Chipset and RAM– 2.3 GHz quad-core Snapdragon 800 processor is present under the hood and it teams up with a 2GB RAM. And the processor has already shown what its worth so we need not tell about its capabilities. 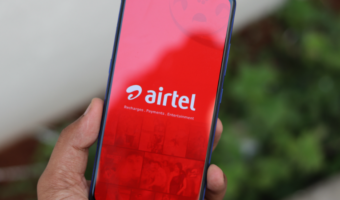 Operating System– The device will run on Android Kitkat 4.4 and future updates to the device are guaranteed as well so this base is covered pretty well. Camera– 8 MP primary camera with features like autofocus, optical image stabilization, LED flash, Geo-tagging, touch focus, face detection, photo sphere etc and joining hands with it will be a 1.3 MP secondary camera. Connectivity– 3G, 4G LTE EDGE, GPS, Bluetooth, NFC, WLAN and USB connectivity will be present to ensure that you remain connected at all times. Battery- Non-removable Li-Po 2300 mAh battery to give 200 hours of standby and 17 hours of talktime on 2G and this might be an issue as it is a pretty big and powerful screen that this paltry battery will be powering. The device will be available starting November. Obviously, it will have tough time considering the new launches from Apple, Micromax , Xolo and Samsung etc. However, the new operating system, powerful processor and good looks should help the phablet to get a kick start in the festive season. Moreover, Google’s grip on consumer insights always puts it in an advantageous position as compared to the rest. The best part is that the waiting time for India launch for Nexus 5 has been very small as compared to its predecessor. So, get ready have a new Nexus between your phone and you.